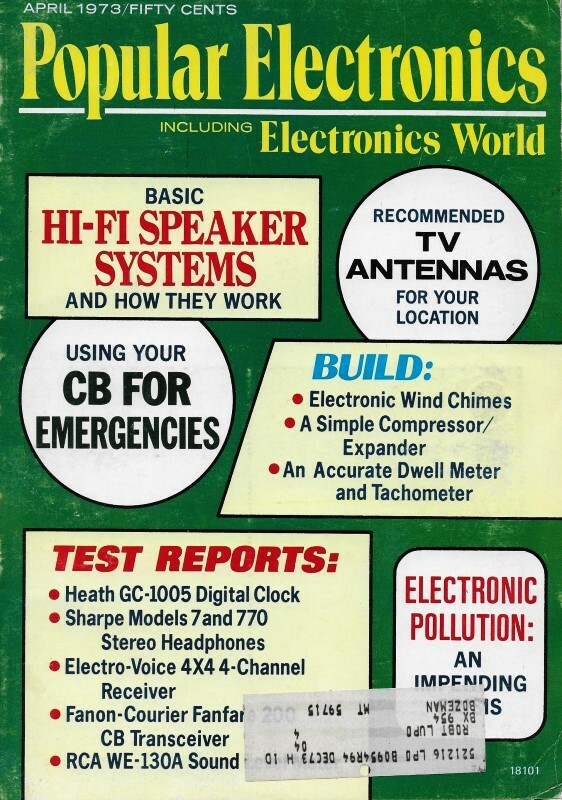 In this challenge by Popular Electronics' quizmaster Robert Balin, you have to match each electronic circuit on the left with its mechanical analog on the right. Mechanical equivalent "H" can be a bit tricky depending on whether you consider the material that gets through the sieve or what gets trapped in it, or for that matter whether you consider wavelength or frequency. Personally, I think he has the analogy backwards. A list of all the quizzes I have posted is listed below. 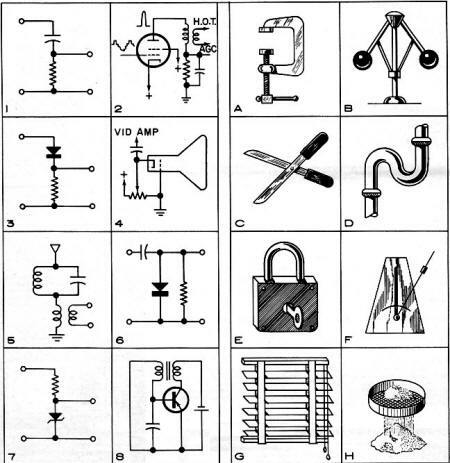 Electronic circuits perform functions that are similar in many respects to those of common mechanical devices. For example, a rectifier circuit produces unidirectional current while a ratchet and pawl produce unidirectional motion. If you can see an analogy between them, you probably have a good understanding of their operating principles. 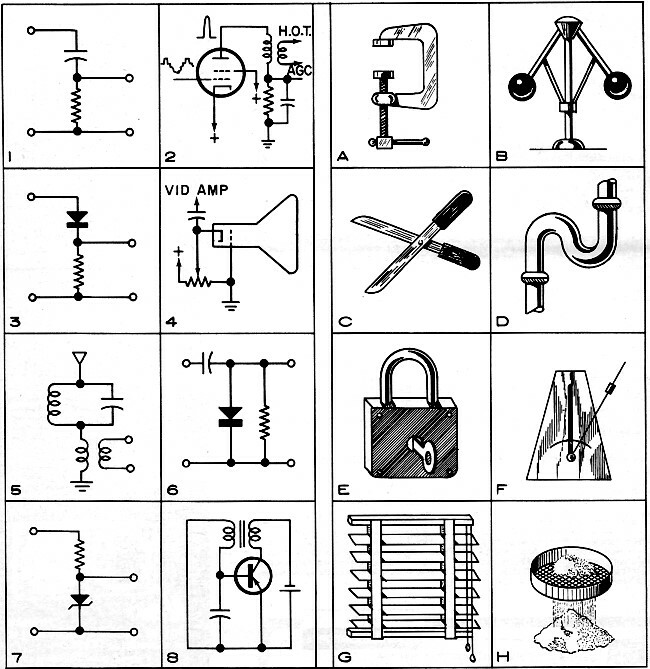 To test your ability to identify analogies, try to match the electronic circuits (1 to 8) on the left below to the related mechanical devices (A to H) which are depicted on the right below.